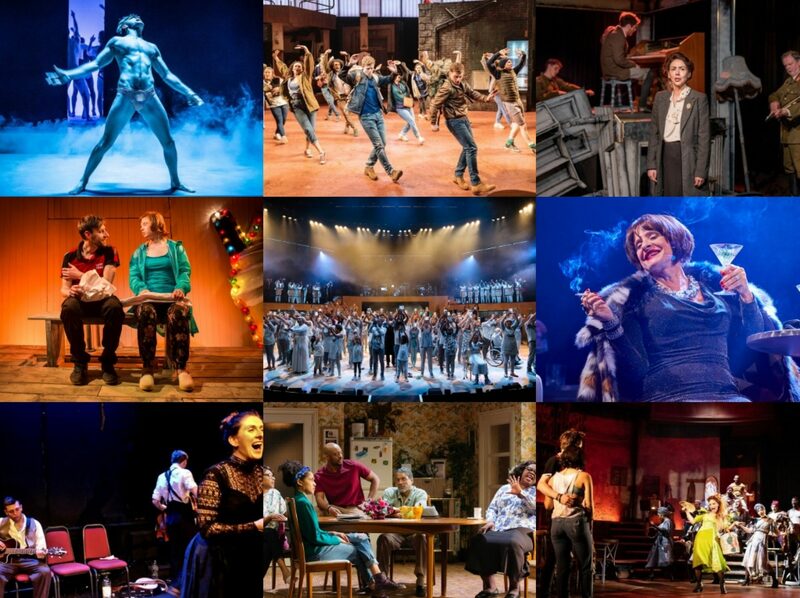 The season to be jolly is fast approaching but if the idea of Christmas cheer in the theatre leaves you, well, less than cheerful, then the Menier Chocolate Factory’s festive offering this year may well be up your street. 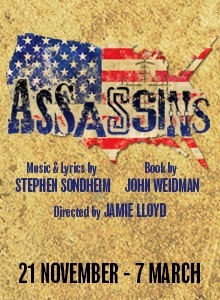 The highly prolific director Jamie Lloyd is taking on Stephen Sondheim’s Assassins, which sees Sondheim’s music and lyrics coiled around John Weidman’s book exploring the men and women who tried (whether successfully or not) to assassinate a President of the United States. It’s hardly the most Christmassy of shows and I think that is pretty much the point. And Sondheim’s enduring popularity (especially at this venue) makes it a safe bet even before the luxurious quality of the cast and company comes into the equation. I saw the first preview on Friday, my booking radar having gone a little awry as I was away when the tickets were released, so instead of reviewing the production, I’m offering you 10 things to look forward to and look out for and if I get to see the show later in the run, I’ll review it ‘properly’ then. Here be mild production spoilers (all hidden behind links). For the look of the show, it is tempting to think designer Soutra Gilmour might have been a teensy bit inspired by the most recent series of American Horror Story. There’s traverse staging, which makes Chris Bailey’s choreography pop beautifully (especially this cheeky bit), but may also make you flinch. I reckon Jamie Lloyd definitely went to Chichester this summer given some of his casting choices (though he should have swept up Sophie Thomson too IMHO). Alan Williams’ band naturally sounds great (and looks good too, in some nifty costumes) but listen out for Sebastian Philpott’s breathtakingly amazing work on trumpet. We are unworthy indeed. Speaking of being unworthy, Aaron Tveit. Aaron Tveit. Aaron Tveit. Aaron Tveit. It’s nice to be reminded of the sheer quality of 2012’s Best Actress in a Musical fosterIAN winner. And though you may be tempted by the treats available as you walk into the auditorium, imagine if this was sat next to you…, an innovation too far in the theatre methinks!